I absolutely love raspberries, they have to got to be one of my favourite fruits. Desserts incorporating raspberries are my go-to. 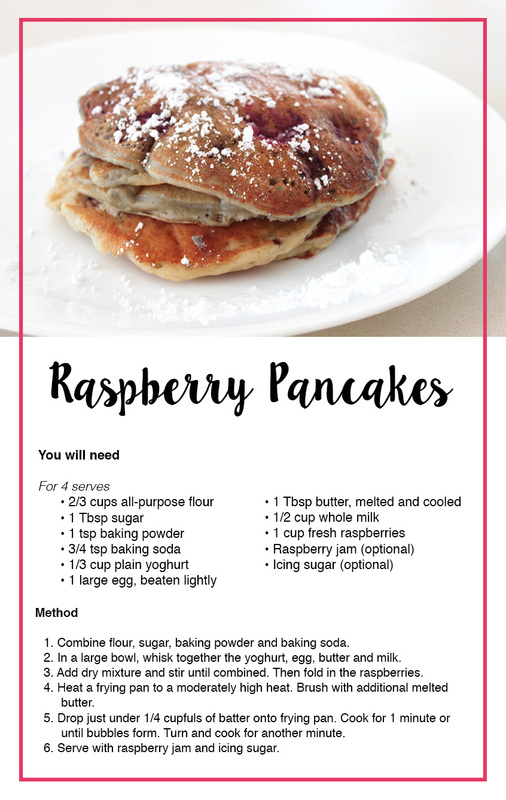 I definitely consider myself a savoury breakfast person, but when I found this recipe for raspberry pancakes online (from tasteofhome.com) it sounded too good not to try! Combine flour, sugar, baking powder and baking soda. In a large bowl, whisk together the yoghurt, egg, butter and milk. Add dry mixture and stir until combined. Then fold in the raspberries. Heat a frying pan to a moderately high heat. Brush with additional melted butter. Drop just under 1/4 cupfuls of batter onto frying pan (you can cook multiple at one time). Cook for 1 minute or until bubbles form. Turn and cook for another minute. Serve with raspberry jam and icing sugar. These were really easy to make and tasted so good! What's your favourite type of pancake? Oh, they look so good, very nice post! Now I'm getting hungry haha..
Wow these look so amazing. 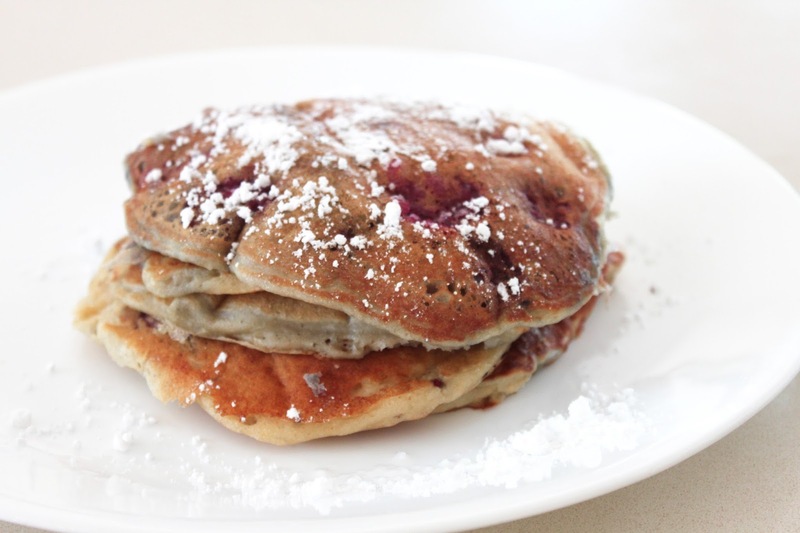 Pancakes are one of my favourite things to eat, I bet these tasted amazing too!